Happy Friday everyone! And how fun is it that this Friday is also St. Patrick's Day?!? That means we will be celebrating all things green...including green beverages. 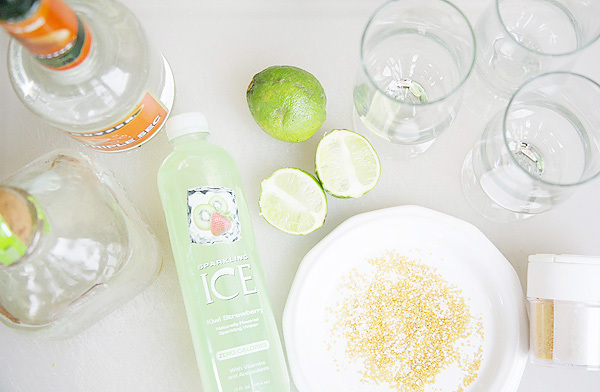 And maybe since St. Patrick's Day falls on a Friday this year, especially green beverages. 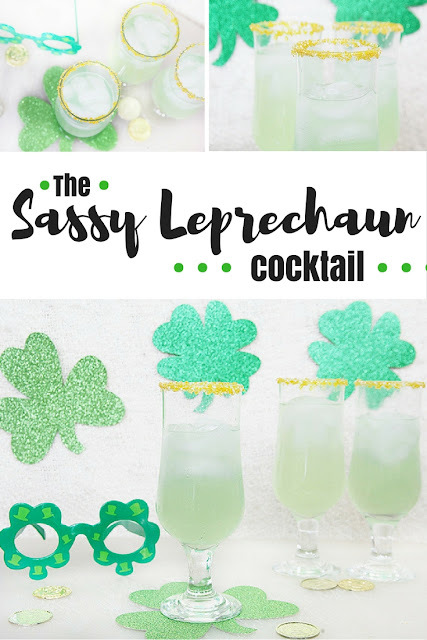 True to our Irish heritage, we weren't about to pass up a chance to craft a yummy holiday themed cocktail. Especially a holiday that allows us to use our favorite gold sprinkles as part of the garnishing. Although, when isn't it a good time to use gold sprinkles? We created the Sassy Leprechaun cocktail for those super fun and sassy moms we just happen to know and love. 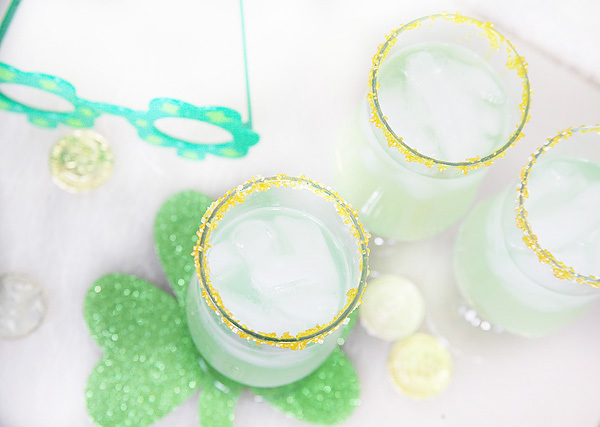 The Sassy Leprechaun is a yummy drink crafted from fruity flavors and ingredients that you probably already have in your at home bar (read: tequila). With in just minutes you can whip up this yummy (and bonus - low calorie!) 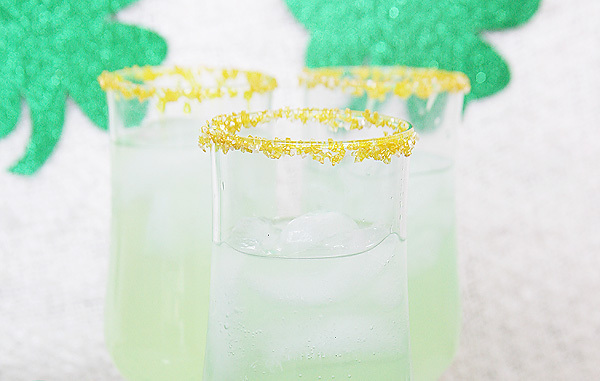 cocktail to get your drink on this St. Patrick's Day. 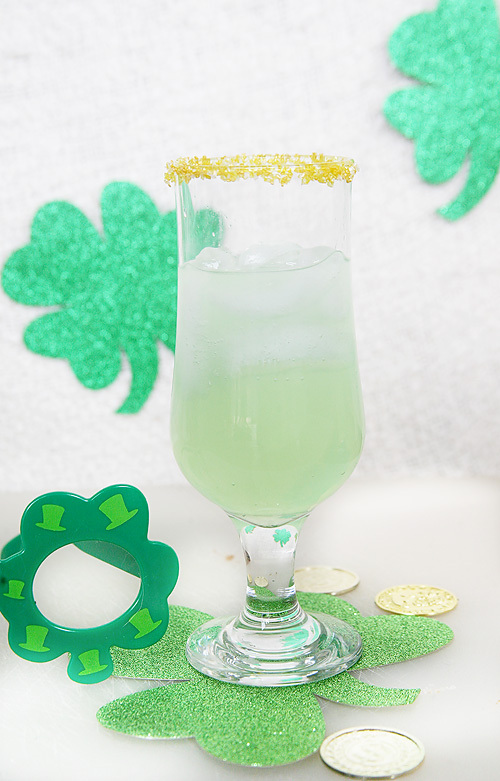 Make the hop to grab The Sassy Leprechaun Cocktail recipe, and make sure the only one doing the pinching today is you! Cheers and Happy St. Patrick's Day y'all! How cute are these! I sure would love one right about now after my long day at work!